© Sandra Kuprion-Thomas. All rights reserved. 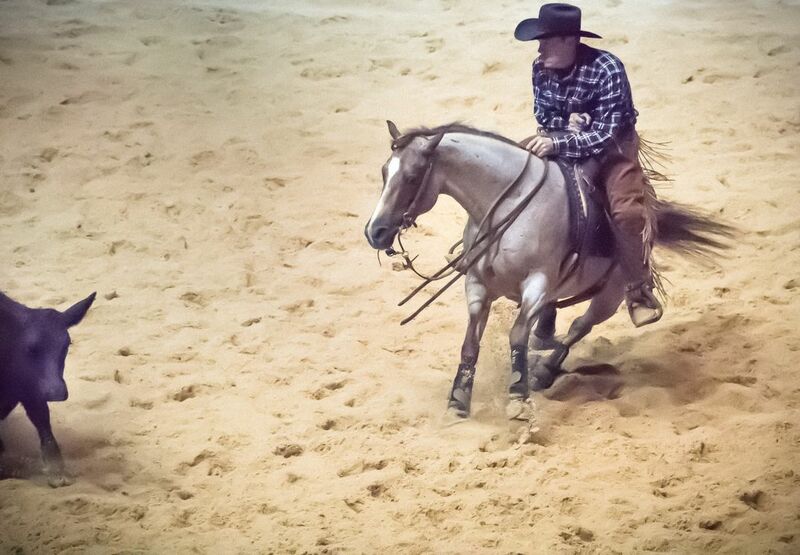 An american cowgirl and cowboy tradition is the Cutting competition. At the National competition in Fort Worth, Texas participants gather and wait for the next round of competition. Cutting is a western-style equestrian competition in which a horse and rider work as a team before a judge or panel of judges to demonstrate the horse's athleticism and ability to handle cattle during a 2 1/2 minute performance, called a "run". Once a cow has been driven clear of the herd, it is almost entirely up to the horse except for allowable leg cues from the rider to prevent the cow from returning to the herd; a job the best horses do with relish, savvy, and style.